Staying in the UK for a family holiday has never been better. Whether you’re hunting for peace and quiet in an idyllic surrounding or wanting to keep active on an action-packed adventure, there’s plenty on offer for you to enjoy. Northamptonshire, in the heart of England, combines countryside relaxation with exciting activities and interesting sights. Known affectionately as the county of “squires and spires”, the rolling countryside region is steeped in history and beauty. With plenty to capture the imagination and hearts of your children, Northamptonshire has become a popular destination for many family holidays. Northamptonshire spans across many towns and cities such as Corby, Kettering, Northampton and Daventry. While driving is a great way to get between the various towns and take in the countryside views, there are many other ways to travel too. Embrace times gone by with a trip on a vintage steam train from Northampton & Lamport Railway station, which will allow you to see the Brampton Valley, Northampton and Market Harborough. With a peaceful waterway system sprawling across the county, seeing Northamptonshire by canal is also an unusual but great alternative to travelling by car. Perfect for families, it gives little explorers the opportunity to become captain of a ship, as they help you to navigate along the canal system and River Nene. Finally, sometimes a bicycle is all you need to explore the countryside at your own leisure. Perfect for active families, there are plenty of cycle paths which allow you to experience fresh air and enjoy scenic views. Whilst Northamptonshire is ideal for rest and relaxation, it also has a whole host of exciting family activities. A visit to the iconic racetrack is a great day out. With plenty to see and do, it’s great for any petrol heads in the family. There are also kid’s zones, where your children can enjoy the buzz of the motor atmosphere and the thrill of watching the speeding cars. Little ones love the great outdoors, and Wicksteed Park is perfect for letting them roam free. With green spaces perfect for picnics and games as well as plenty of themed days and events, it is a firm favourite with families. Budget friendly and with lots to do, it is a great choice for those on a budget. 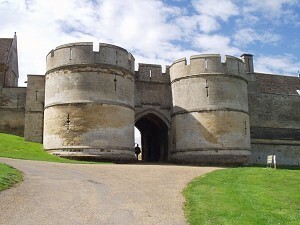 Line up your little soldiers for a great day out at Rockingham Castle, where they can play and learn all about this historical beauty. Dating all the way back to the Vikings and William the Conqueror, this castle has played an important part of the county’s past. With over 450 years of battles, warring families and dramatic stories, Rockingham Castle promises tales that will truly capture your family’s imagination. This attraction is also dog friendly, so even the four legged members of your family can enjoy some time outdoors. If you want to do something unusual, then give llama trekking a go. This activity is sure to be a favourite with little animal lovers and offers you a chance to see the rolling terrain of the county in a memorable way. You can choose from a sunlit dusk trek or a half-day experience where you meet these curious and furry friends, learn about their habitat and see the Northamptonshire countryside in a whole new way. When it comes to accommodation, there is plenty in Northamptonshire to suit all budgets and requirements. No family is the same and there are lots of options available in the county. If you’re looking for hotels, there are various styles and choices, from the cheap and cheerful to plush luxury surroundings. One of the better options for families is to stay in a holiday park, where you can enjoy peace and quiet while having local amenities and entertainment just a stone’s throw away from your front door. Billing Aquadrome, in the Nene Valley, is the perfect place to unwind and relax amongst 235 acres of glorious countryside. You can steal some time for yourself and let the children enjoy the outdoors, as there’s plenty of rides and play areas to keep them happy as well as exciting activities such as water zorbing. There’s also a lively restaurant and bar with regular entertainment, making Billing Aquadrome perfect for rest and rejuvenation as well as family fun. 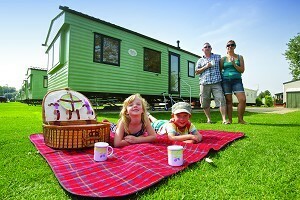 With lodges and caravans to choose from, this holiday park provides families with a home-from-home with all the creature comforts required for a perfect break. There’s even room for you to bring your beloved family dog, so they can join in the fun too! So when you’re planning your next family trip, make sure Northamptonshire is top of your list. With beautiful countryside to explore including valleys, rivers and lakes, as well as plenty of interesting days out, this stunning county has something for every family to enjoy. 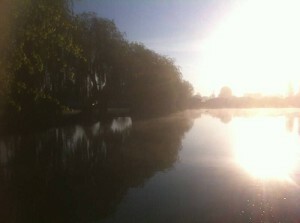 Niamh Spence is a content writer for Billing Aquadrome in the Nene Valley – part of the Pure Leisure Group. 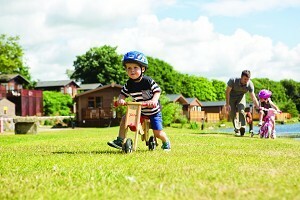 Billing Aquadrome offers great activities for family holidays that are sure to please everyone, from big to small.